The Office of the Registrar is located on the 2nd floor of Carnegie Hall along with Student Account Services, Holt Student Services, and the advising offices of Tiffany Griffin and Tres Loch. 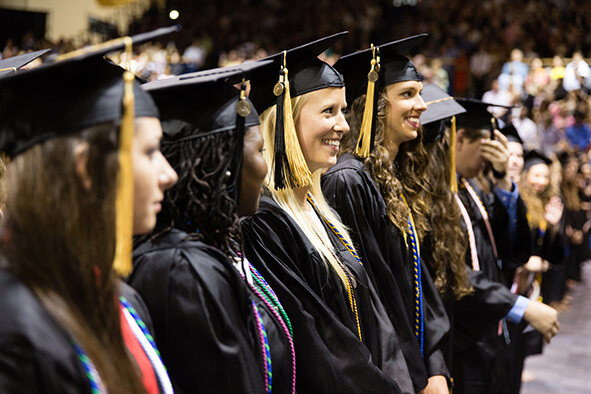 The Office of the Registrar focuses on Rollins’ traditional full-time undergraduate programs offered through the College of Liberal Arts, as well as the undergraduate and graduate evening degree programs offered through the Hamilton Holt School. If you are a Crummer Graduate School of Business student needing additional information on class schedules, course catalogs, course registration, grades, or changes of address, please visit Crummer Student Services' website. Summer 2019 and Fall 2019 class schedule information will be posted the week of March 18. Please monitor your Rollins email for more information. The Office of Student Records is now the Office of the Registrar. Please note our new email address: registrar@rollins.edu.